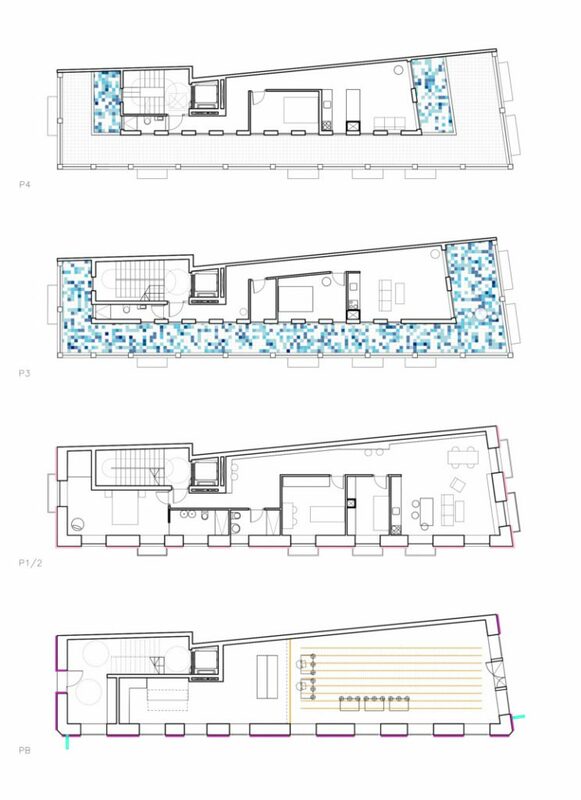 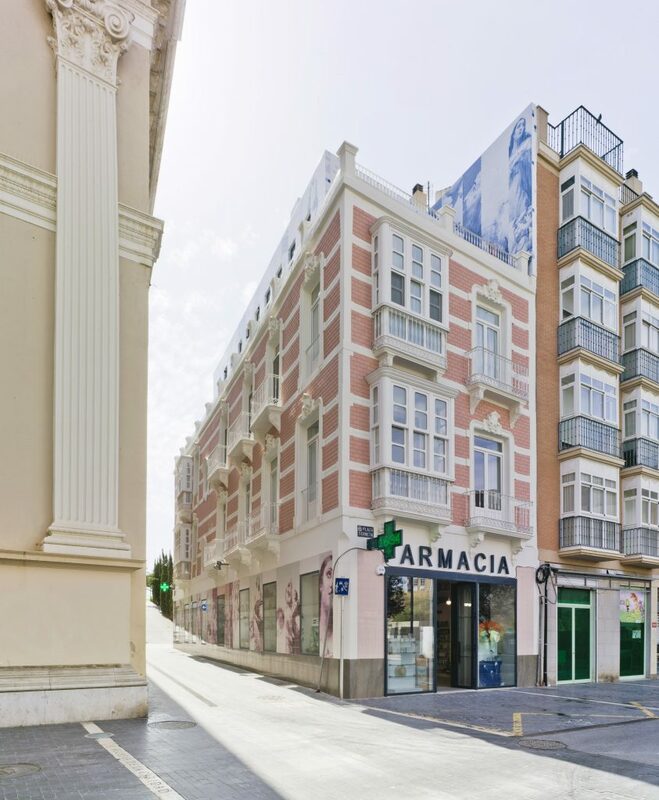 The rehabilitation of the building, historical and cataloged as a good to preserve, which is distributed in a commercial ground floor dedicated to pharmacy and two housing levels, proposes an extension above the built of two levels of penthouses with terraces that produces a new volumetry. 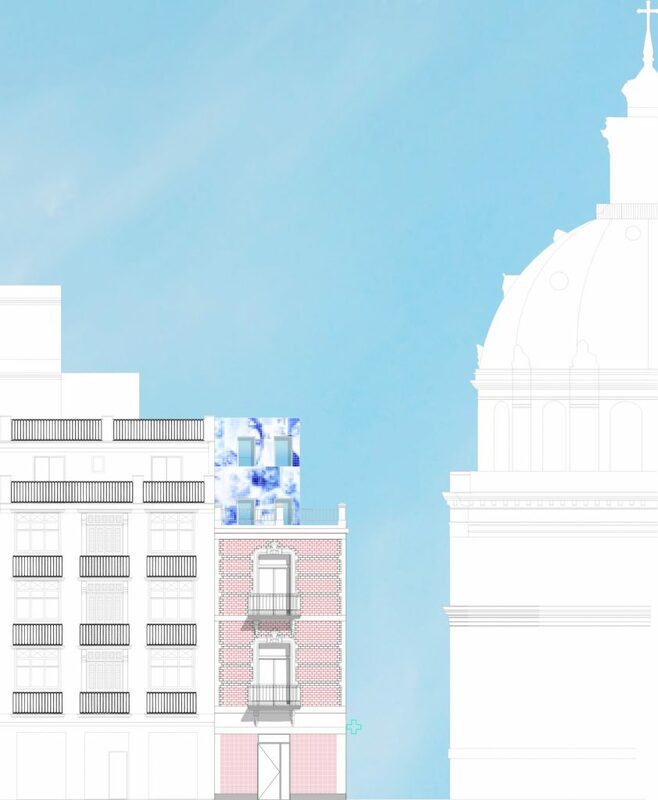 The exterior treatments correspond to the willingness to identify the actions of the project, with the intention of emphasizing the historical character of the building, enhancing and taking advantage of its distinguished location in the city. 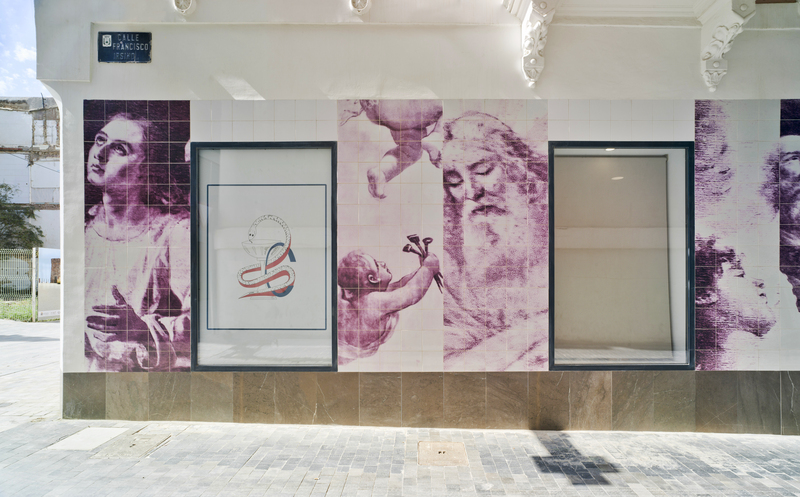 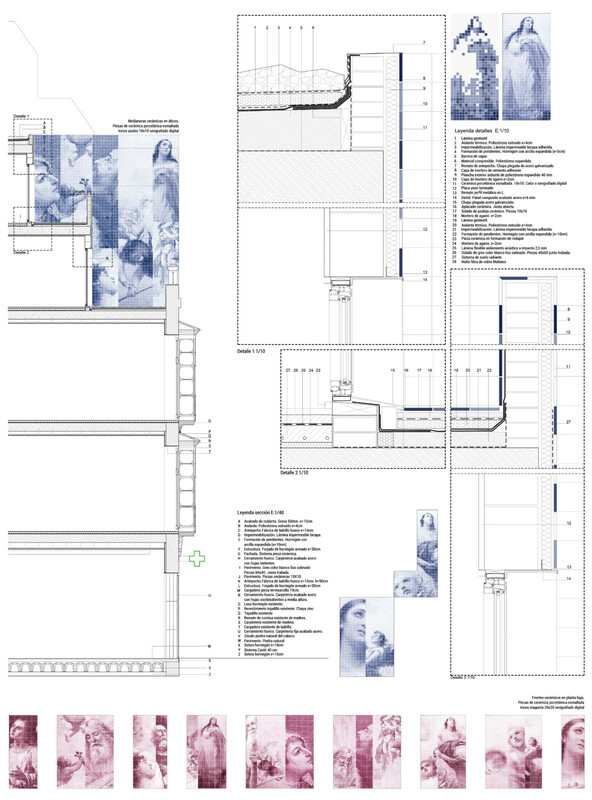 A serigraphed ceramic tile composition covers the ground floor and, at the same time, developes images of the interior of Real Basílica de Nuestra Señora de la Caridad, located next to the project, adopting and reinterpreting the work of Wsell de Guimbarda, painter from Cartagena, opening a new dialogue between the buildings and the public space around these ceramic pieces of Cartagena tradition. 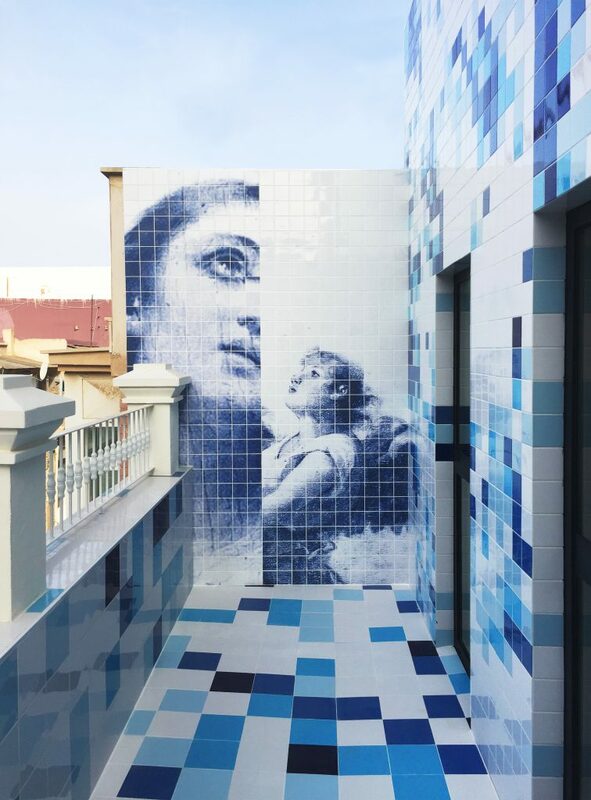 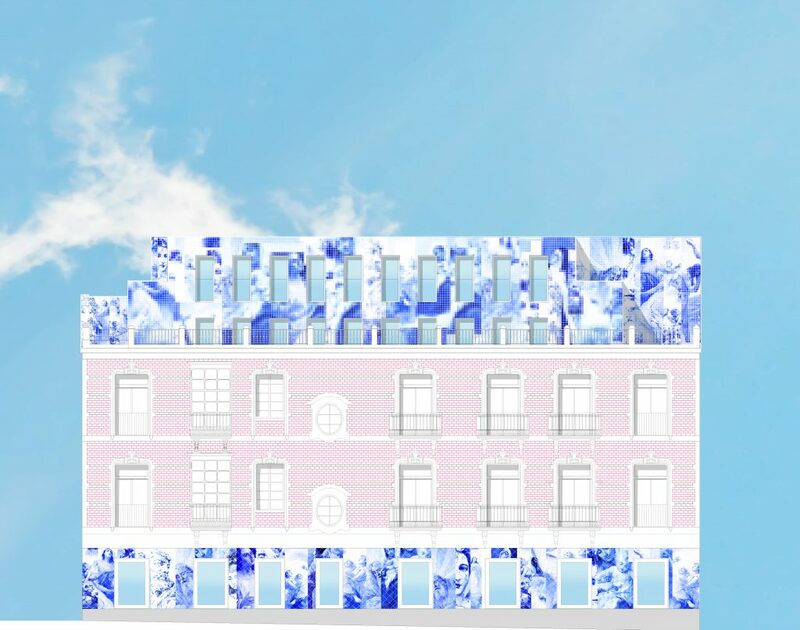 The penthouses levels offer a new reading of the work of the painter, now in bluish tones, in direct reference to the virgin according to the traditional iconographic code, blurring to melt with the blue of the sky. 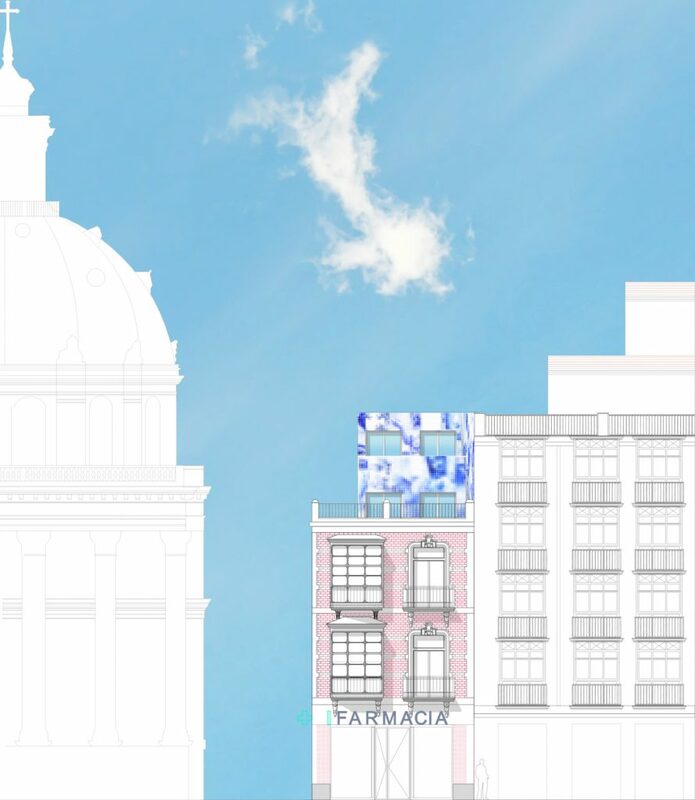 This continuous ceramic front has a vocation to become a point of interest for the city, an informative claim of History and Style, which relates directly to the street, and inevitably and especially with the Basilica de la Caridad. 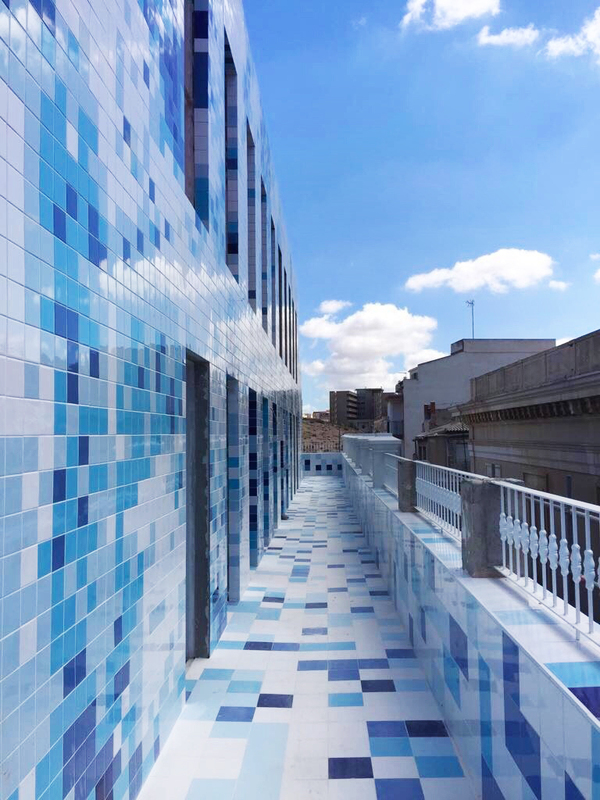 The whole of the rehabilitated building consolidates its integration in the artistic and cultural heritage of the city, inviting the curious to approach both its facades and the Basilica .